The in-depth, diverse, and accessible essays in Queer Game Studies use queerness to challenge the ideas that have dominated gaming discussions. This volume reveals the capacious albeit underappreciated communities that are making, playing, and studying queer games, demonstrating the centrality of LGBTQ issues to the gamer world and establishing an alternative lens for examining this increasingly important culture. The computerization of the economy—and everyday life—has transformed the division of labor between humans and machines, shifting many people into work that is hidden, poorly compensated, or accepted as part of being a “user” of digital technology. Through our clicks and swipes, logins and profiles, emails and posts, we are, more or less willingly, participating in digital activities that yield economic value to others but little or no return to us. Hamid Ekbia and Bonnie Nardi call this kind of participation—the extraction of economic value from low-cost or free labor in computer-mediated networks—“heteromation.” In this book, they explore the social and technological processes through which economic value is extracted from digitally mediated work, the nature of the value created, and what prompts people to participate in the process. Arguing that heteromation is a new logic of capital accumulation, Ekbia and Nardi consider different kinds of heteromated labor: communicative labor, seen in user-generated content on social media; cognitive labor, including microwork and self-service; creative labor, from gaming environments to literary productions; emotional labor, often hidden within paid jobs; and organizing labor, made up of collaborative groups such as citizen scientists. Ekbia and Nardi then offer a utopian vision: heteromation refigured to bring end users more fully into the prosperity of capitalism. In The Stuff of Bits, Paul Dourish examines the specific materialities that certain digital objects exhibit. He presents four case studies: emulation, the creation of a “virtual” computer inside another; digital spreadsheets and their role in organizational practice; relational databases and the issue of “the databaseable”; and the evolution of digital networking and the representational entailments of network protocols. These case studies demonstrate how a materialist account can offer an entry point to broader concerns—questions of power, policy, and polity in the realm of the digital. Susan Leigh Star (1954–2010) was one of the most influential science studies scholars of the last several decades. In her work, Star highlighted the messy practices of discovering science, asking hard questions about the marginalizing as well as the liberating powers of science and technology. In the landmark work Sorting Things Out, Star and Geoffrey Bowker revealed the social and ethical histories that are deeply embedded in classification systems. Star’s most celebrated concept was the notion of boundary objects: representational forms—things or theories—that can be shared between different communities, with each holding its own understanding of the representation. Unfortunately, Leigh was unable to complete a work on the poetics of infrastructure that further developed the full range of her work. This volume collects articles by Star that set out some of her thinking on boundary objects, marginality, and infrastructure, together with essays by friends and colleagues from a range of disciplines—from philosophy of science to organization science—that testify to the wide-ranging influence of Star’s work. In our digital age we can communicate, access, create, and share an abundance of information effortlessly, rapidly, and nearly ubiquitously. The consequence of having so many choices is that they compete for our attention: we continually switch our attention between different types of information while doing different types of tasks; in other words, we multitask. The activity of information workers in particular is characterized by the continual switching of attention throughout the day. In this book, empirical work is presented, based on ethnographic and sensor data collection, which reveals how multitasking affects information workers’ activities, mood, and stress in real work environments. Multitasking is discussed from various perspectives: activity switching, interruptions as triggers for activity switching, email as a major source of interruptions, and the converse of distractions: focused attention. All of these factors are components of information work. This book begins by defining multitasking and describing different research approaches used in studying multitasking. 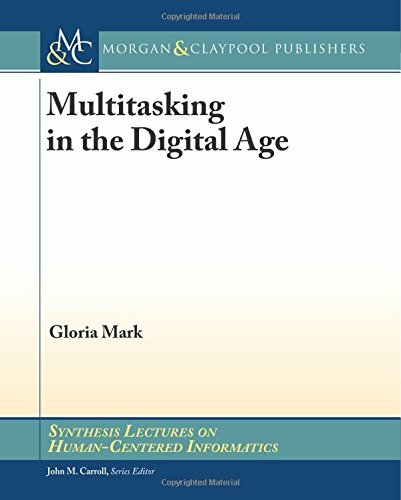 It then describes how multiple factors occur to encourage multitasking in the digitally-enabled workplace: the abundance and ease of accessing information, the number of different working spheres, the workplace environment, attentional state, habit, and social norms. Empirical work is presented describing the nature of multitasking, the relationship of different types of interruptions and email with overload and stress, and patterns of attention focus. The final chapter ties these factors together and discusses challenges that information workers in our digital age face. In an era of increasing interconnectedness, knowledge — and power — belongs to those who understand the nature of the interdependent systems that organize the world — and have the skills to change those systems. The books in the Interconnections collection offer K-12 educators a curriculum toolkit for supporting systems thinking with a design-based approach to learning that aligns with current Common Core and Next Generation Science Standards while still being relevant to youth interests in digital culture. Each book teaches systems thinking concepts and skills in the context of a specific digital media platform and includes an average of six design challenges or learning projects. This innovative, design-based approach is useful for both in- and out-of-school settings, and was developed collaboratively by designers and educators from Indiana University’s Creativity Labs, Institute of Play, the Digital Youth Network, and the National Writing Project. Over the last 20 years there has been an expansion of network mediated social activities, and an accompanying explosion of research interest into the poetics of networked communication. Of particular interest is the rise of what have come to be known as “virtual worlds”: persistent graphical environments populated (and often partially authored) by large communities of individual users. Interactors in these worlds are embodied as avatars: digital puppets or representations through which the user exerts his or her will on the environment. It is this virtual embodiment that makes today’s virtual worlds so interesting. With virtual embodiment comes a host of new and important communicative possibilities, and an assortment of new challenges and literacies including a wide range of nonverbal communication behaviors and non-linguistic social signaling options. Using a simple computational task (term frequency) to illustrate different programming styles, Exercises in Programming Style helps readers understand the various ways of writing programs and designing systems. It is designed to be used in conjunction with code provided on an online repository. The book complements and explains the raw code in a way that is accessible to anyone who regularly practices the art of programming. The book can also be used in advanced programming courses in computer science and software engineering programs. The book contains 33 different styles for writing the term frequency task. The styles are grouped into nine categories: historical, basic, function composition, objects and object interactions, reflection and metaprogramming, adversity, data-centric, concurrency, and interactivity. The author verbalizes the constraints in each style and explains the example programs. Each chapter first presents the constraints of the style, next shows an example program, and then gives a detailed explanation of the code. Most chapters also have sections focusing on the use of the style in systems design as well as sections describing the historical context in which the programming style emerged. This textbook brings together both new and traditional research methods in Human Computer Interaction (HCI). Research methods include interviews and observations, ethnography, grounded theory and analysis of digital traces of behavior. The background context, clear explanations, and sample exercises make this an ideal textbook for graduate students. The chapters, written by foremost experts in the field, are highly diverse. They range from grounded theory and action research to retrospective analysis, agent-based modeling, and social network analysis. Several chapters focus on system building, such as technical research, building an experimental online community, and field deployments, while others focus on design research. Experiments and surveys are covered, including their potential to benefit from crowdsourcing. New sources of digital data sensory systems, eye tracking, and log analysis are discussed. Because many of these methods extend to the world of online activity, the book concludes by exploring the ethical challenges that have surfaced. Ways of Knowing in HCI provides a starting point toward other avenues for continued learning. Readers will gain an understanding of the type of knowledge each method provides, its disciplinary roots, and how each contributes to understanding users, user behavior, and the context of use. The book is an invaluable resource for students, researchers and professionals alike. TV viewers today are exposed to overwhelming amounts of information, and challenged by the plethora of interactive functionality provided by current set-top boxes. To ensure broad adoption of this technology by consumers, future Digital Television will have to take usability issues thoroughly into account. In particular, serious attention must be paid to facilitate the selection of content on an individual basis, and to provide easy-to-use interfaces that satisfy viewers’ interaction requirements. This volume collects selected research reports on the development of personalized services for Interactive TV. Drawing upon contributions from academia and industry in the US, Europe and Asia, this book represents a comprehensive picture of leading edge research in personalized television. Software Designers in Action: A Human-Centric Look at Design Work examines how developers actually perform software design in their day-to-day work. The book offers a comprehensive look at early software design, exploring the work of professional designers from a range of different viewpoints. Divided into four sections, it discusses various theoretical examinations of the nature of software design and particular design problems, critically assesses the processes and practices that designers follow, presents in-depth accounts of key supporting elements of design, and explores the role of human interaction in software design. -Includes contributions from expert practitioners in human-computer interaction, psychology, software design, and product design. Development, deployment, and evaluation of interactive technologies for individuals with autism have been rapidly increasing over the last decade. There is great promise for the use of these types of technologies to enrich interventions, facilitate communication, and support data collection. Emerging technologies in this area also have the potential to enhance assessment and diagnosis of individuals with autism, to understand the nature of autism, and to help researchers conduct basic and applied research. This book provides an in-depth review of the historical and state-of-the-art use of technology by and for individuals with autism. The intention is to give readers a comprehensive background in order to understand what has been done and what promises and challenges lie ahead. By providing a classification scheme and general review, this book can also help technology designers and researchers better understand what technologies have been successful, what problems remain open, and where innovations can further address challenges and opportunities for individuals with autism and the variety of stakeholders connected to them. Hypertext/hypermedia systems and user-model-based adaptive systems in the areas of learning and information retrieval have for a long time been considered as two mutually exclusive approaches to information access. Adaptive systems tailor information to the user and may guide the user in the information space to present the most relevant material, taking into account a model of the user’s goals, interests and preferences. Hypermedia systems, on the other hand, are `user neutral’: they provide the user with the tools and the freedom to explore an information space by browsing through a complex network of information nodes. Adaptive hypertext and hypermedia systems attempt to bridge the gap between these two approaches. A possible remedy for the negative effects of the traditional `one-size-fits-all’ approach in the development of hypermedia systems is to equip them with the ability to adapt to the needs of the individual users. A possible way of achieving adaptivity is by modeling the users and tailoring the system’s interactions to their goals, tasks and interests. In this sense, the notion of adaptive hypertext/hypermedia comes naturally to denote a hypertext or hypermedia system, which reflects some features of the user and/or characteristics of his system usage in a user model, and utilizes this model in order to adapt various behavioral aspects of the system to the user. This volume is the first reader on videogames and learning of its kind. Covering game design, game culture, and games as 21st century pedagogy, it demonstrates the depth and breadth of scholarship on games and learning to date. The chapters represent some of the most influential thinkers, designers, and writers in the emerging field of games and learning – including James Paul Gee, Soren Johnson, Eric Klopfer, Colleen Macklin, Thomas Malaby, Bonnie Nardi, David Sirlin, and others. Together, their work functions both as an excellent introduction to the field of games and learning and as a powerful argument for the use of games in formal and informal learning environments in a digital age. Ethnography and Virtual Worlds is the only book of its kind–a concise, comprehensive, and practical guide for students, teachers, designers, and scholars interested in using ethnographic methods to study online virtual worlds, including both game and nongame environments. Written by leading ethnographers of virtual worlds, and focusing on the key method of participant observation, the book provides invaluable advice, tips, guidelines, and principles to aid researchers through every stage of a project, from choosing an online fieldsite to writing and publishing the results. Tom Boellstorff is professor of anthropology at the University of California, Irvine. His books include Coming of Age in Second Life: An Anthropologist Explores the Virtually Human. Bonnie Nardi is professor of informatics at the University of California, Irvine. Her books include My Life as a Night Elf Priest: An Anthropological Account of World of Warcraft. Celia Pearce is associate professor of digital media at Georgia Institute of Technology. Her books include Communities of Play: Emergent Cultures in Multiplayer Games and Virtual Worlds. T. L. Taylor is associate professor of comparative media studies at Massachusetts Institute of Technology. Her books include Play Between Worlds: Exploring Online Game Culture. Ask a person on the street whether new technologies bring about important social change and you are likely to hear a resounding “yes.” But the answer is less definitive amongst academics who study technology and social practice. Scholarly writing has been heavily influenced by the ideology of technological determinism – the belief that some types or technologically driven social changes are inevitable and cannot be stopped. 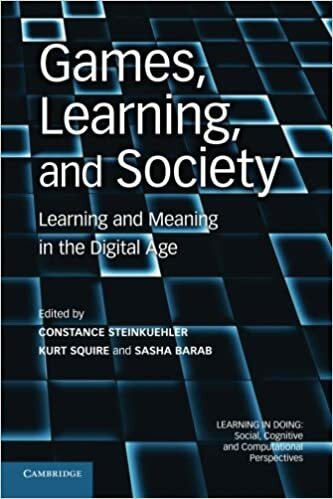 Rather than argue for or against notions of determinism, the authors in this book ask how the materiality (the arrangement of physical, digital, or rhetorical materials into particular forms that endure across differences in place and time) of technologies, ranging from computer-simulation tools and social media, to ranking devices and rumors, is actually implicated in the process of formal and informal organizing. The book builds a new theoretical framework to consider the important socio-technical changes confronting people’s everyday experiences in and outside of work. Leading scholars in the field contribute original chapters examining the complex interactions between technology and the social, between artifact and humans. The discussion spans multiple disciplines, including management, information systems, informatics, communication, sociology, and the history of technology, and opens up a new area of research regarding the relationship between materiality and organizing. Can we learn socially and academically valuable concepts and skills from video games? How can we best teach the ”gamer generation?” This accessible book describes how educators and curriculum designers can harness the participatory nature of digital media and play. 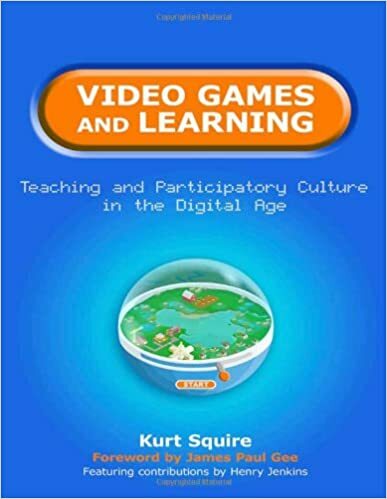 The author presents a comprehensive model of games and learning that integrates analysis of games, games cultures, and educational game design. Building on over 10 years of research, Kurt Squire tells the story of the emerging field of immersive digitally mediated learning environments (or games) and outlines the future of education. -Elizabeth Losh, Director, Culture, Art and Technology Program, University of California, San Diego. Why is the World Wide Web so successful? What has enabled it to scale across millions of servers and untold users? How can a company leverage its corporate knowledge to produce economically a family of software products that dominate a market segment? At the core of the answers to these questions is software architecture, the set of principal design decisions made about a system. This text reveals the fundamentals of software architecture, and enables the reader to employ the latest techniques to produce software applications that have conceptual integrity and meet all the stakeholders’ expectations. -Shows how proper focus on software architecture transforms the software development process. -Teaches how to design the architecture of a system, including techniques appropriate for established application areas for which abundant experience exists. -Presents methods for designing systems to meet non-functional requirements. -Focuses on developing implementations that are faithful to their architecture, and which are adaptable to meet future needs. -Contains numerous examples from practice. Written by internationally renowned experts with both industry and academic experience, this book’s ambitious scope makes it a suitable and unique reference for software engineering and software-architectures students, researchers, and practitioners alike. -Richard N. Taylor is a Professor of Information and Computer Sciences at the University of California at Irvine. He received the Ph.D. degree in Computer Science from the University of Colorado at Boulder in 1980. Professor Taylor is the Director of the Institute for Software Research, which is dedicated to fostering innovative basic and applied research in software and information technologies through partnerships with industry and government. -Nenad Medvidović is Director of the University of California Center for Systems and Software Engineering, and an Associate professor in the Computer Science Department at USC. Medvidović received his Ph.D. in 1999 from the Department of Informatics and Computer Science at University of California, Irvine. Medvidović is a recipient of the National Science Foundation CAREER awarded (2000), the Okawa Foundation Research Grant (2005), and the IBM Real-Time Innovation Award (2007). -Eric M. Dashofy is a Senior Member of the Technical Staff at the Aerospace Corporation in El Segundo, CA. He received his Ph.D. in 2007 from the University of California, Irvine. He is the lead developer of the ArchStudio architecture-centric software development environment, an open-source, Eclipse-bases toolset for modeling, visualizing analyzing, and implementing architecture-based software systems. Computational Models of Mixed-Initiative Interaction brings together research that spans several disciplines related to artificial intelligence, including natural language processing, information retrieval, machine learning, planning, and computer-aided instruction, to account for the role that mixed initiative plays in the design of intelligent systems. The ten contributions address the single issue of how control of an interaction should be managed when abilities needed to solve a problem are distributed among collaborating agents. Managing control of an interaction among humans and computers to gather and assemble knowledge and expertise is a major challenge that must be met to develop machines that effectively collaborate with humans. This is the first collection to specifically address this issue. Collaboration among individuals – from users to developers – is central to modern software engineering. It takes many forms: joint activity to solve common problems, negotiation to resolve conflicts, creation of shared definitions, and both social and technical perspectives impacting all software development activity. The difficulties of collaboration are also well documented. The grand challenge is not only to ensure that developers in a team deliver effectively as individuals, but that the whole team delivers more than just the sum of its parts. The editors of this book have assembled an impressive selection of authors, who have contributed to an authoritative body of work tackling a wide range of issues in the field of collaborative software engineering. The resulting volume is divided into four parts, preceded by a general editorial chapter providing a more detailed review of the domain of collaborative software engineering. Part 1 is on “Characterizing Collaborative Software Engineering”, Part 2 examines various “Tools and Techniques”, Part 3 addresses organizational issues, and finally Part 4 contains four examples of “Emerging Issues in Collaborative Software Engineering”. As a result, this book delivers a comprehensive state-of-the-art overview and empirical results for researchers in academia and industry in areas like software process management, empirical software engineering, and global software development. Practitioners working in this area will also appreciate the detailed descriptions and reports, which can often be used as guidelines to improve their daily work. World of Warcraft rapidly became one of the most popular online world games on the planet, amassing 11.5 million subscribers—officially making it an online community of gamers that had more inhabitants than the state of Ohio and was almost twice as populous as Scotland. It’s a massively multiplayer online game, or MMO in gamer jargon, where each person controls a single character inside a virtual world, interacting with other people’s characters and computer-controlled monsters, quest-givers, and merchants. Today, computers are part of kids’ everyday lives, used both for play and for learning. We envy children’s natural affinity for computers, the ease with which they click in and out of digital worlds. Thirty years ago, however, the computer belonged almost exclusively to business, the military, and academia. In Engineering Play, Mizuko Ito describes the transformation of the computer from a tool associated with adults and work to one linked to children, learning, and play. Ito gives an account of a pivotal period in the 1980s and 1990s, which saw the rise of a new category of consumer software designed specifically for elementary school aged children. “Edutainment” software sought to blend various educational philosophies with interactive gaming and entertainment, and included such titles as Number Munchers, Oregon Trail, KidPix, and Where in the World Is Carmen Sandiego?. Drawing from observations of kids’ play, interviews with software developers, and advertising and industry materials, Ito identifies three educational philosophies and genres in children’s software that connect players in software production, distribution, and consumption: instruction, focused on transmission of academic content; exploration, tied to open-ended play; and construction, aimed at empowering young users to create and manipulate digital media. Modern science is increasingly collaborative, as signaled by rising numbers of coauthored papers, papers with international coauthors, and multi-investigator grants. Historically, scientific collaborations were carried out by scientists in the same physical location—the Manhattan Project of the 1940s, for example, involved thousands of scientists gathered on a remote plateau in Los Alamos, New Mexico. Today, information and communication technologies allow cooperation among scientists from far-flung institutions and different disciplines. Scientific Collaboration on the Internet provides both broad and in-depth views of how new technology is enabling novel kinds of science and engineering collaboration. The book offers commentary from notable experts in the field along with case studies of large-scale collaborative projects, past and ongoing. The projects described range from the development of a national virtual observatory for astronomical research to a National Institutes of Health funding program for major multilaboratory medical research; from the deployment of a cyberinfrastructure to connect experts in earthquake engineering to partnerships between developed and developing countries in AIDS research. The chapter authors speak frankly about the problems these projects encountered as well as the successes they achieved. The book strikes a useful balance between presenting the real stories of collaborations and developing a scientific approach to conceiving, designing, implementing, and evaluating such projects. It points to a future of scientific collaborations that build successfully on aspects from multiple disciplines. Web personalization has evolved into a large research field that attracts scientists from different communities such as hypertext, user modeling, machine learning, natural language generation, information retrieval, intelligent tutoring systems, cognitive science, and Web-based education. This state-of-the-art survey provides a systematic overview of the ideas and techniques of the adaptive Web and serves as a central source of information for researchers, practitioners, and students. The volume constitutes a comprehensive and carefully planned collection of chapters that map out the most important areas of the adaptive Web, each solicited from the experts and leaders in the field. The largest part of the book focuses on personalization techniques, namely the modeling side of personalization and on adaptation. This technique-focused part is complemented by four domain-oriented chapters. 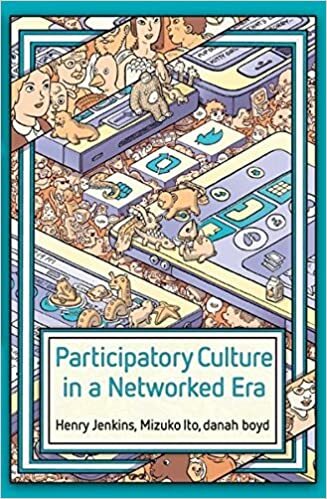 The book also details recently emerging topics; it provides a prospective view to new ideas and techniques that are moving rapidly into the focus of the adaptive Web community and have to be included as a glimpse into a not so distant future. The way we record knowledge, and the web of technical, formal, and social practices that surrounds it, inevitably affects the knowledge that we record. The ways we hold knowledge about the past — in handwritten manuscripts, in printed books, in file folders, in databases — shape the kind of stories we tell about that past. In this lively and erudite look at the relation of our information infrastructures to our information, Geoffrey Bowker examines how, over the past two hundred years, information technology has converged with the nature and production of scientific knowledge. His story weaves a path between the social and political work of creating an explicit, indexical memory for science — the making of infrastructures — and the variety of ways we continually reconfigure, lose, and regain the past. At a time when memory is so cheap and its recording is so protean, Bowker reminds us of the centrality of what and how we choose to forget. In Memory Practices in the Sciences he looks at three “memory epochs” of the nineteenth, twentieth, and twenty-first centuries and their particular reconstructions and reconfigurations of scientific knowledge. The nineteenth century’s central science, geology, mapped both the social and the natural world into a single time package (despite apparent discontinuities), as, in a different way, did mid-twentieth-century cybernetics. Both, Bowker argues, packaged time in ways indexed by their information technologies to permit traffic between the social and natural worlds. Today’s sciences of biodiversity, meanwhile, “database the world” in a way that excludes certain spaces, entities, and times. We use the tools of the present to look at the past, says Bowker; we project onto nature our modes of organizing our own affairs. As pop culture, games are as important as film or television—but game design has yet to develop a theoretical framework or critical vocabulary. In Rules of Play Katie Salen and Eric Zimmerman present a much-needed primer for this emerging field. They offer a unified model for looking at all kinds of games, from board games and sports to computer and video games. As active participants in game culture, the authors have written Rules of Play as a catalyst for innovation, filled with new concepts, strategies, and methodologies for creating and understanding games. Building an aesthetics of interactive systems, Salen and Zimmerman define core concepts like “play,” “design,” and “interactivity.” They look at games through a series of eighteen “game design schemas,” or conceptual frameworks, including games as systems of emergence and information, as contexts for social play, as a storytelling medium, and as sites of cultural resistance. Computer science as an engineering discipline has been spectacularly successful. Yet it is also a philosophical enterprise in the way it represents the world and creates and manipulates models of reality, people, and action. In this book, Paul Dourish addresses the philosophical bases of human-computer interaction. He looks at how what he calls “embodied interaction” — an approach to interacting with software systems that emphasizes skilled, engaged practice rather than disembodied rationality — reflects the phenomenological approaches of Martin Heidegger, Ludwig Wittgenstein, and other twentieth-century philosophers. The phenomenological tradition emphasizes the primacy of natural practice over abstract cognition in everyday activity. Dourish shows how this perspective can shed light on the foundational underpinnings of current research on embodied interaction. He looks in particular at how tangible and social approaches to interaction are related, how they can be used to analyze and understand embodied interaction, and how they could affect the design of future interactive systems. The National Science Foundation funded the first Coordination Theory and Collaboration Technology initiative to look at systems that support collaborations in business and elsewhere. This book explores the global revolution in human interconnectedness. It will discuss the various collaborative workgroups and their use in technology. The initiative focuses on processes of coordination and cooperation among autonomous units in human systems, in computer and communication systems, and in hybrid organizations of both systems. This initiative is motivated by three scientific issues which have been the focus of separate research efforts, but which may benefit from collaborative research. The first is the effort to discover the principles underlying how people collaborate and coordinate work efficiently and productively in environments characterized by a high degree of decentralized computation and decision making. The second is to gain a better fundamental understanding of the structure and outputs of organizations, industries, and markets which incorporate sophisticated, decentralized information and communications technology as an important component of their operations. The third is to understand problems of coordination in decentralized or open computer systems. The common rhetoric about technology falls into two extreme categories: uncritical acceptance or blanket rejection. Claiming a middle ground, Bonnie Nardi and Vicki O’Day call for responsible, informed engagement with technology in local settings, which they call information ecologies. An information ecology is a system of people, practices, technologies, and values in a local environment. Nardi and O’Day encourage the reader to become more aware of the ways people and technology are interrelated. They draw on their empirical research in offices, libraries, schools, and hospitals to show how people can engage their own values and commitments while using technology. What do a seventeenth-century mortality table (whose causes of death include “fainted in a bath,” “frighted,” and “itch”); the identification of South Africans during apartheid as European, Asian, colored, or black; and the separation of machine- from hand-washables have in common? All are examples of classification — the scaffolding of information infrastructures. The authors emphasize the role of invisibility in the process by which classification orders human interaction. They examine how categories are made and kept invisible, and how people can change this invisibility when necessary. They also explore systems of classification as part of the built information environment. Much as an urban historian would review highway permits and zoning decisions to tell a city’s story, the authors review archives of classification design to understand how decisions have been made. Sorting Things Out has a moral agenda, for each standard and category valorizes some point of view and silences another. Standards and classifications produce advantage or suffering. Jobs are made and lost; some regions benefit at the expense of others. How these choices are made and how we think about that process are at the moral and political core of this work. The book is an important empirical source for understanding the building of information infrastructures. Intended for designers and researchers, Context and Consciousness brings together 13 contributions that apply activity theory to problems of human-computer interaction. Understanding how people actually use computers in their everyday lives is essential to good design and evaluation. This insight necessitates a move out of the laboratory and into the field. The research described in Context and Consciousness presents activity theory as a means of structuring and guiding field studies of human-computer interaction, from practical design to theoretical development. Activity theory is a psychological theory with a naturalistic emphasis, with roots going back to the 1920s in the Soviet Union. It provides a hierarchical framework for describing activity and a set of perspectives on practice. Activity theory has been fruitfully applied in many areas of human need, including problems of mentally and physically handicapped children, educational testing, curriculum design, and ergonomics. There is growing interest in applying activity theory to problems of human- computer interaction, and an international community of researchers is contributing to the effort. This is the story of how one company created and codified a new science “on the run,” away from the confines of the laboratory. By construing its service as scientific, Schlumberger was able to get the edge on the competition and construct an enviable niche for itself in a fast-growing industry. In this engaging account, Geoffrey Bowker reveals how Schlumberger devised a method of testing potential oil fields, produced a rhetoric, and secured a position that allowed it to manipulate the definition of what a technology is. Bowker calls the heart of the story “The Two Measurements That Worked,” and he renders it in the style of a myth. In so doing, he shows seamlessly how society becomes embedded even in that most basic and seemingly value-independent of scientific concepts: the measurement. Bowker describes the origins and peregrinations of Schlumberger, details the ways in which the science developed in the field was translated into a form that could be defended in a patent court, and analyzes the company’s strategies within the broader context of industrial science. A Small Matter of Programming asks why it has been so difficult for end users to command programming power and explores the problems of end user-driven application development that must be solved to afford end users greater computational power. Drawing on empirical research on existing end user systems, A Small Matter of Programming analyzes cognitive, social, and technical issues of end user programming. In particular, it examines the importance of task-specific programming languages, visual application frameworks, and collaborative work practices for end user computing, with the goal of helping designers and programmers understand and better satisfy the needs of end users who want the capability to create, customize, and extend their applications software. The ideas in the book are based on the author’s research on two successful end user programming systems—spreadsheets and CAD systems—as well as other empirical research. Nardi concentrates on broad issues in end user programming, especially end users’ strengths and problems, introducing tools and techniques as they are related to higher-level user issues. User models have recently attracted much research interest in the field of artificial intelligence dialog systems. It has become evident that a flexible user-oriented dialog behavior of such systems can be realized only if the system disposes of a model of the user, containing assumptions about the user`s background knowledge as well as the user`s goals and plans in consulting the system. Research in the field of user models investigates how such assumptions can be automatically created, represented and exploited by the system in the course of an interaction with the user. This volume is the first survey pertaining to the field of user modeling. Most of the prominent international researchers in this area have contributed to this volume. Their papers are grouped into four sections: The introductory section contains a general view of the field as a whole, and a number of surveys of specific problems and techniques in user modeling. Sections two and three describe eight user modeling systems, with the focus lying on the automatic creation and exploitation of assumptions about the user respectively. The final section discusses several limits of current systems, and proposes solutions as to how some of the shortcomings might be overcome. In order to increase the quality and the coherency of the volume, each paper has been reviewed by all other contributors. Cross-references have been integrated wherever appropriate. All contributions are introduced in editorial prefaces pertaining to each section. A subject index and an extensive bibliography supplement the book. User modeling is gradually becoming recognized as a key issue in the design of cooperative computer based dialogue systems. Assumptions about the beliefs, goals and plans of the user are seen as necessary prerequisites for a system to be capable of exhibiting user-oriented dialogue behavior, Research in this field, however, is still incoherent and lacks a solid groundwork of precise problem definitions, proposals for solutions, comparable realized systems. Much work in this area is done on a very informal base. This work aims at contributing to such groundwork, both through theoretical analysis and by presenting a user model in which many of the theoretical proposals have been realized. Uses a creative approach to teach the basic skills and concepts of programming quickly. This edition offers excellent insights into problem solving and program design processes. It will also improve comprehension of such computer science considerations as loop invariants and recursion. Includes 60 color line drawings.